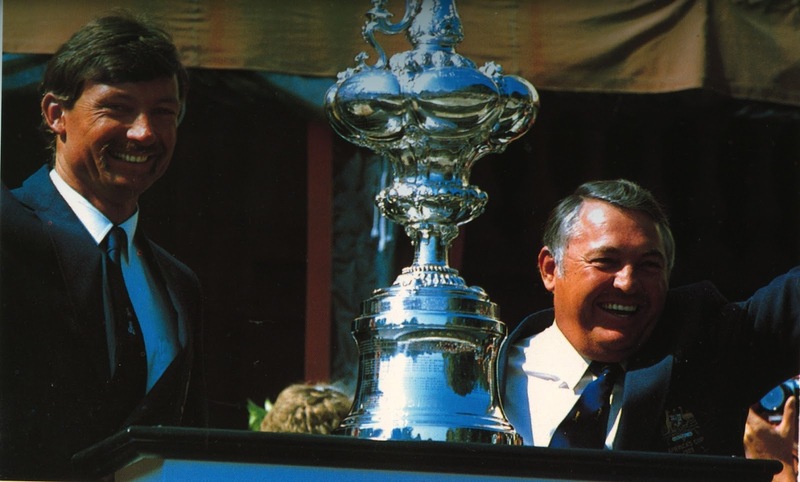 Winner of the 25th America’s Cup Challenge in 1983, Newport R.I. The Australian challenger defeated the NYYC defender Liberty – US 40 – 4 wins to 3. 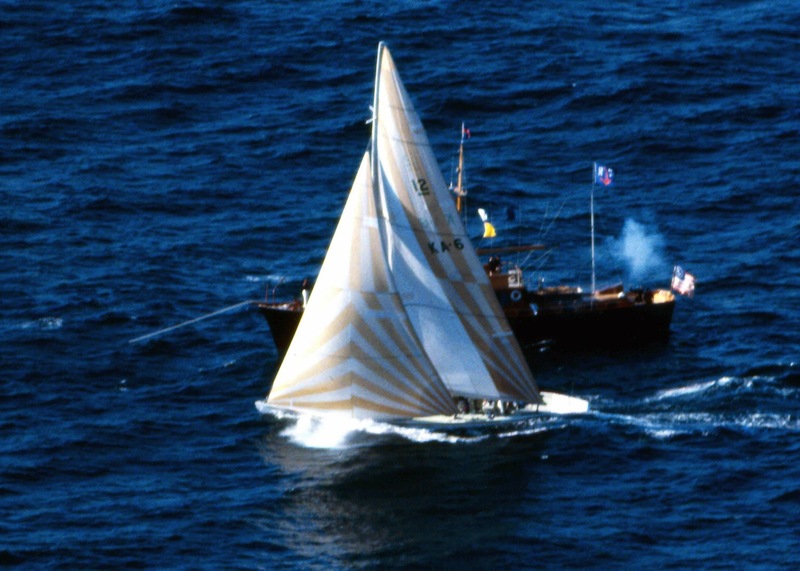 In 1986, Australia II was the trial horse for the America’s Cup Defence 1987 Ltd., “Bond Syndicate” of the Royal Perth Yacht Club. “The day of her maiden voyage was a major occasion. The place was packed, and Benny (Ben Lexcen) was floating somewhere between the dock and seventh heaven. It was a heart-warming sight. Here was this huge, good-natured, slightly chaotic man, who can swear like a drunken bushwhacker, walking around as if on air, with his arms often spread wide before his new creation, as if conducting a Vivaldi concerto. 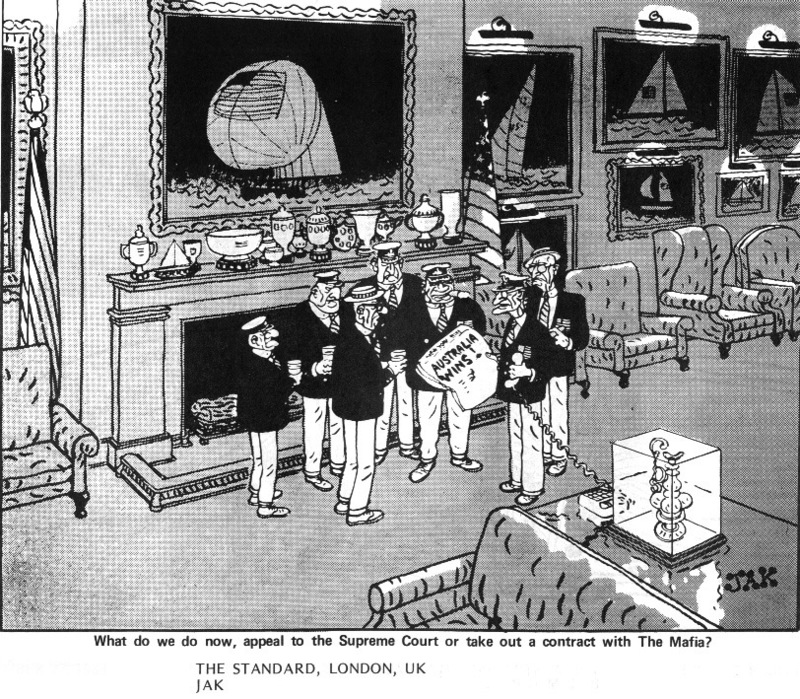 In his considered view, Australia II made all other boats seems ugly”. It’s John Bertrand the skipper of Australia II that described this beautiful scene. 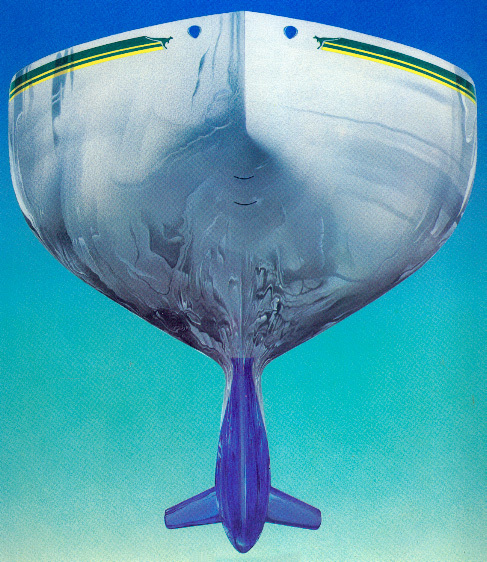 Nevertheless, when he discovered on spring 1981 the drawings and the model of the challenger endowed with his upside-down winged keel, it was necessary all the enthusiasm of Ben Lexcen and Alan Bond to turn down his skepticism. 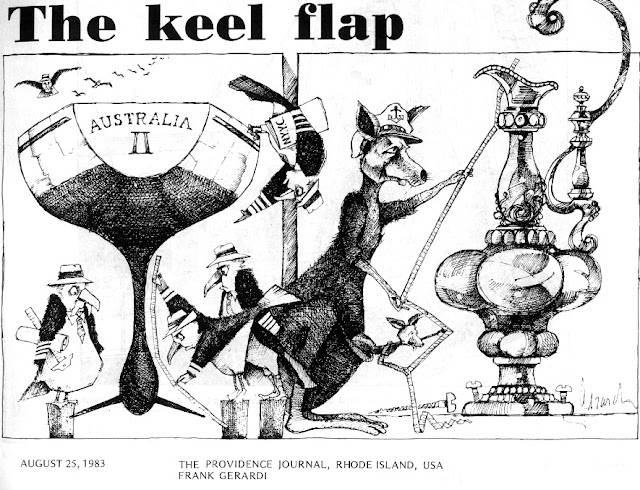 Some are still involved in controversy to know who invented the famous keel of Australia II … that matter! Because Ben Lexcen's brilliant blow is to have had the cap to fix such an appendage to the hull of the boat. But how did it happen? In 1980, the NYYC authorized the Australians to use the Dutch tank test of Wageningen. Lexcen spent there 4 months, at the beginning of 1981, with Dutch engineers Peter Van Oossanen and Joop W. Sloff. Ben designed the drawings of Challenge 12, a conventional design, after having tested 7 models (one third scale), and then he passed to Australia II (more than 400 tests, calculations of keel in 3 D, several hundreds of hours of simulations). The result was surprising: the boat was faster than a conventional twelve and Bond had really got the risk to make build Australia II. In 1983, the challenger had benefited from the support of the press and from the public. It was true that chaste skirt of green canvas "threaded" after every race of the yacht had very fast incited the curiosity of all. 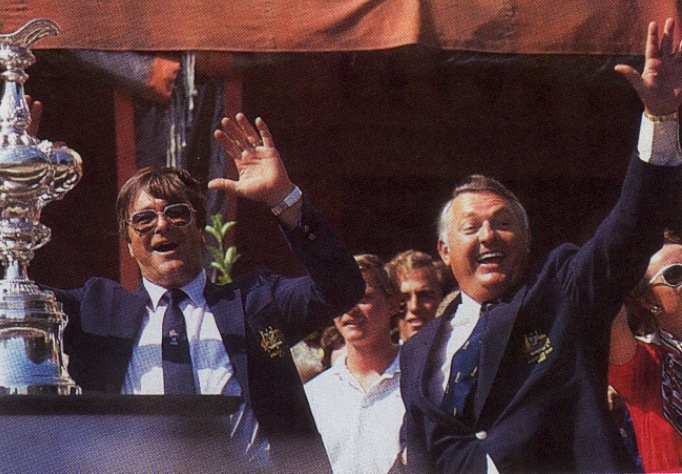 The first successes of Australia II in Louis Vuitton Cup had only been adding to the craze. 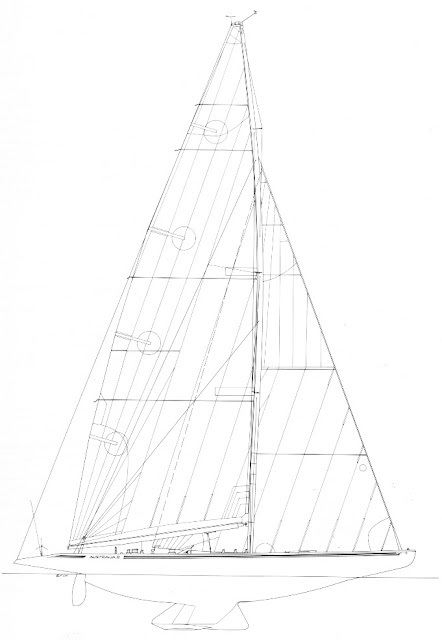 The late and fruitless operations of the NYYC to demonstrate that the keel was not an Australian invention or that it did not enter in the rule were only adding to the confusion of Dennis Conner and Liberty crew. 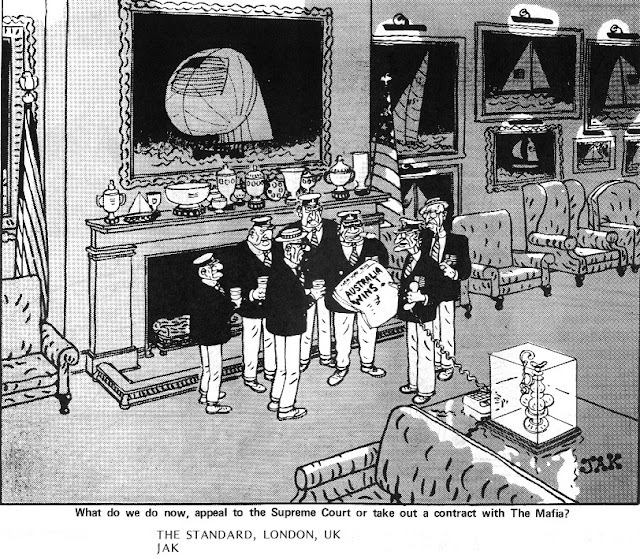 And to strengthen the confidence of the men of Australia II who took away the Cup at the conclusion of a series of 7 races of anthology. The ultimate race, September 25th, 1983. Australia II wins the Cup! Having served as trial horse in the defense at Fremantle in 1986, the boat was on display in National Maritime Museum of Sydney. In the 1990s, the State government of Western Australia succeeded in getting back Australia II, which sailed in August, 2001 in regatta of the Jubilee of Cup, at Cowes, served by the quasi-totality of the crew which had led her to the victory in 1983. Australia II is henceforth a part of collections of the Western Australian Maritime Museum of Fremantle! Original owner: America’s Cup Challenge 1983, Alan Bond (Royal Perth Yacht Club). Builder: Steve E. Ward & Co., Perth, Cottesloe, Australia. Sailmaker: Tom “Schnacks” Schnackenberg, sail coordinator. North, Hood, Sobstad Australia. Research facilities & tank tests: Netherlands Ship Model Basin – NSMB – at Wageningen, Netherlands. Peter Van Oossanen. Models built on 1/3rd scale, 24-foot models, instead of 8-foot models used for Australia I (1977) at the Delft Tank Model Basin, Netherlands, by Johan Valentijn and Ben Lexcen. Hydrodynamics: Joop W. Sloff from Theorythical Aerodynamic Department of the National Aerospace Laboratory, Amsterdam, Netherlands. Built: started in 1981, finished in 1982. 8 months building. 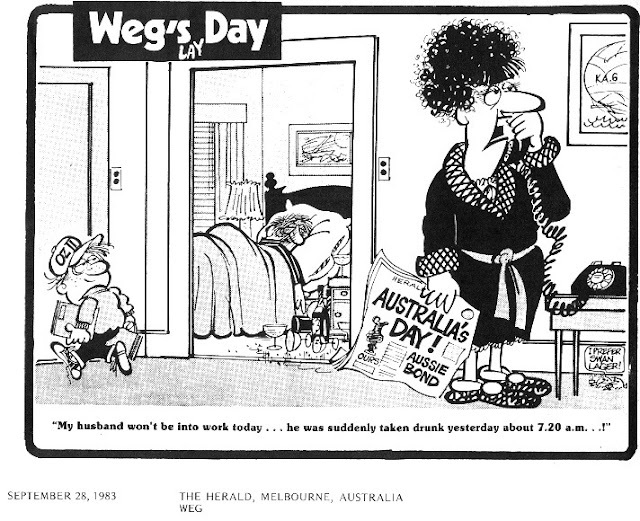 Christened: June 6th, 1982 by Eileen Bond at Fremantle, Sailing Club in Success Harbor. Mast: aluminum, fabricated by Steve Ward from Ben Lexcen’s designs. 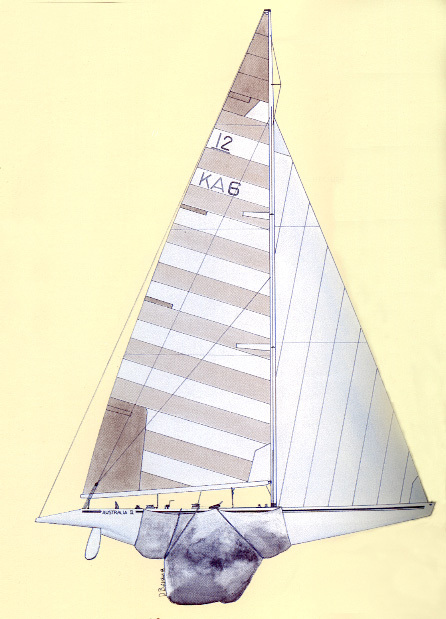 Keel: lead, designed by Ben Lexcen. Mould built in Sydney. Keel cast at Perth in one piece. 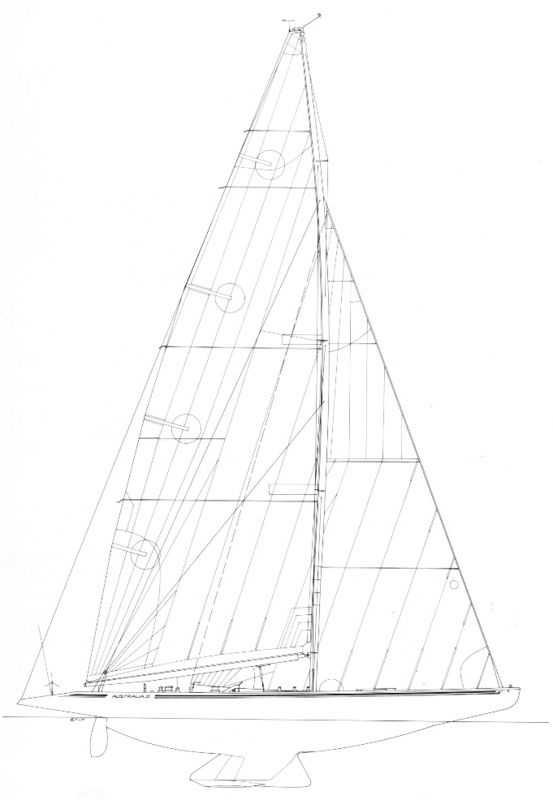 Lexcen applied for patents for his keel on February 5th, 1982 at the International Patents Office in The Hague. He had previously tried wings on dinghies and 5.5 Meter. Owned by l’America’s Cup Defence 1987 Ltd., "Bond Syndicate" of the Royal Perth YC. On display at the National Maritime Museum, Sydney, Australia, then on display at the Western Australian Maritime Museum, Fremantle, Western Australia. 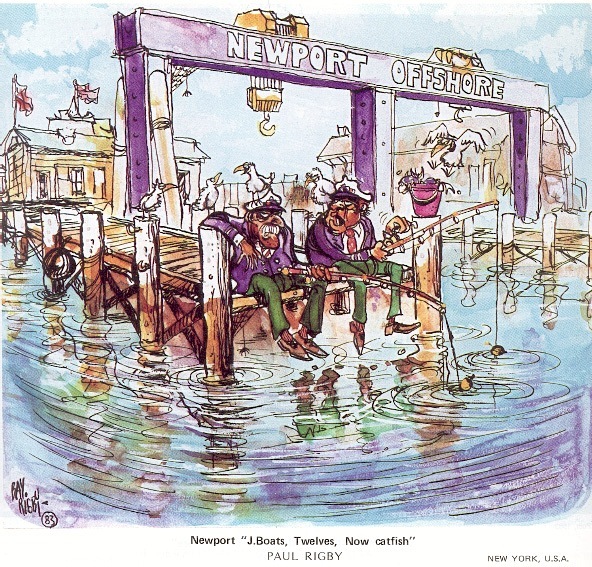 The Cowes, Isle of Wight, regatta sailed to celebrate the 150th anniversary of the America’s Cup in August 2001 was scheduled to be Australia II’s final sailing event. Came second (twelve meter fleet) in the historic “Round the Island” 2001 race. Australia II was given the honor ob being named the yacht that had brought the greatest benefit to the sport of yachting by participating in the America’s Cup Jubilee Regatta. Australia II is the centerpiece of the new Western Australian Maritime Museum, in her homeport of Fremantle.